Nigel John Taylor is an English musician, singer, songwriter, producer and actor, who is best known as the bass guitarist and founding member of new wave band Duran Duran. Duran Duran was one of the most popular bands in the world during the 1980s due to their revolutionary music videos which played in heavy rotation in the early days of MTV. 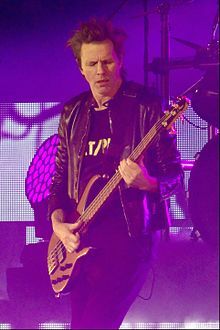 Taylor played with Duran Duran from its founding in 1978 until 1997, when he left to pursue a solo recording and film career. He recorded a dozen solo releases (albums, EPs, and video projects) through his company “Trust The Process” over the next four years, had a lead role in the movie Sugar Town, and made appearances in a half dozen other film projects. He rejoined Duran Duran for a reunion of the original five members of the group in 2001 and has remained with the group since. A shy only child with unambitious parents, Nigel was an unlikely star. “My parents took huge pleasure in my career. They had no ambition for themselves but had so much confidence in me. Becoming the biggest Duran Duran fan gave Mum a new lease of life. When we played Madison Square Gardens in 1984, we flew all the band’s parents out. They went up the Empire State building and to Disney World and stayed in a five-star hotel. Mum had never left the country. They took those memories to the grave,” Said Nigel, in an Interview with the Guardian. This entry was posted in All the Nigels and tagged Bassist. Bookmark the permalink.